I have been uber busy lately…. just finished an antique show out of town. Oh the logistics! As everyone is packing up at the end, we all have that “I must be insane” look on our faces (and maybe on our lips too!!). Sometimes I just feel like a glorified furniture mover! 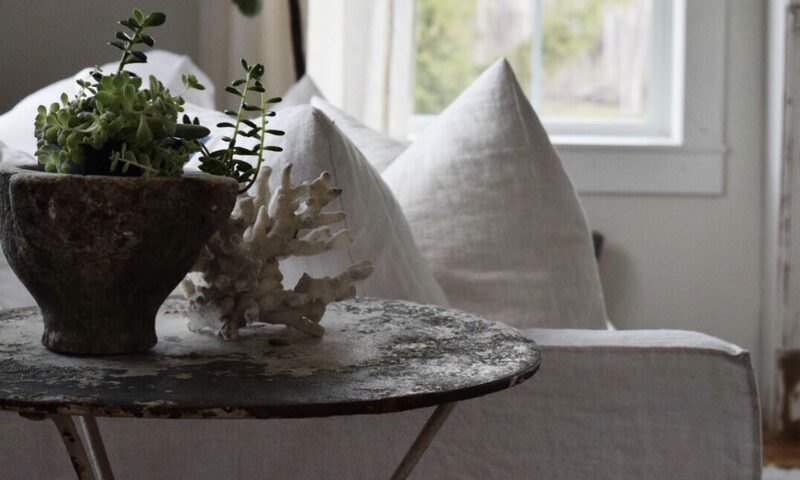 But, one of the trends these days is vintage industrial. And I am partial to, you guessed it, French industrial. 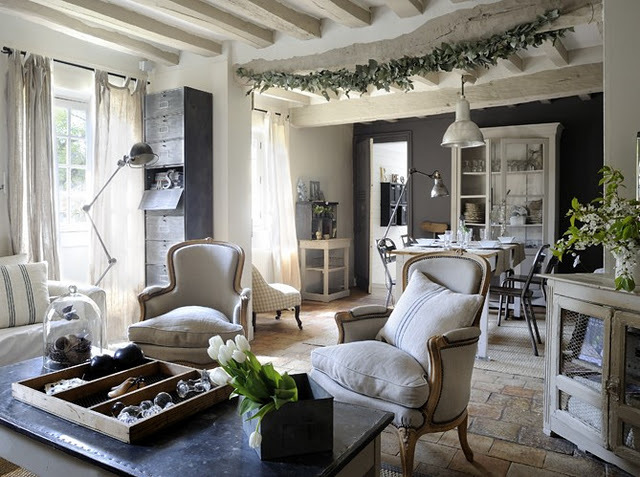 This is one of my favorite French living rooms. Gorgeous linen, beautiful chairs, dark grey accent wall and that wonderful industrial touch. Would love to find some vintage Tolix chairs. Notice the rough brick wall, mirrors en masse and the industrial lighting, chairs and table. What trends or styles are you looking at this spring? Thank you for posting these outstanding images! I’d be proud to live in any of these homes. 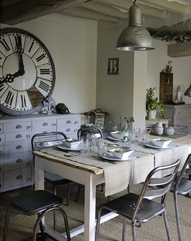 Vintage industrial elements add sooo much character to a room. All these images are fab. Like you I was thinking of getting some Tolix barstools/chairs but I’m wondering with all metal they might be a bit cold to sit on – they do look comfy though! what a beautiful collection of photos. I have a few of those on my interest boards. I am bringing a bit of that feel to my place as well. 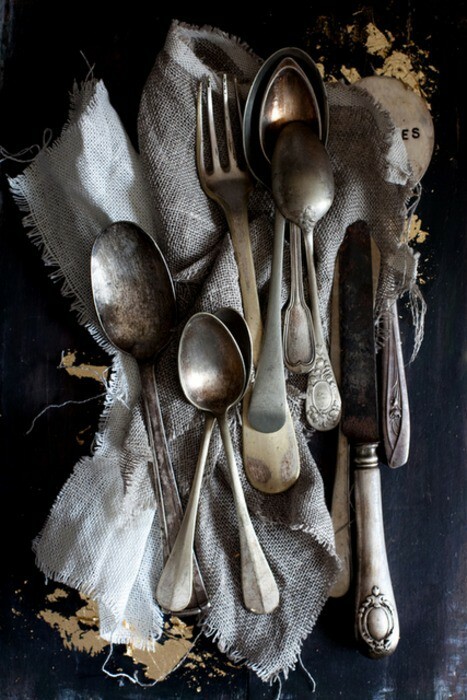 I found a few great zinc finds at our antiques fair this morning. Thanks for the inspiration. 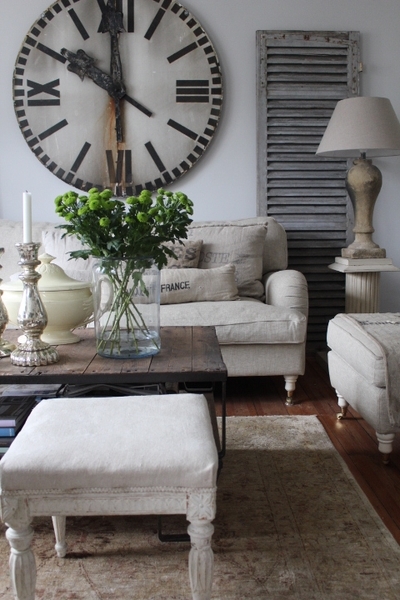 I am a big fan of the oversize clocks and love the one you’ve shown in the living room. Very classy. Where do you find an oversized clock like that? I have yet to find a vintage one, however there is a wonderful reproduction one at Restoration Hardware! Clock is from Pier One. 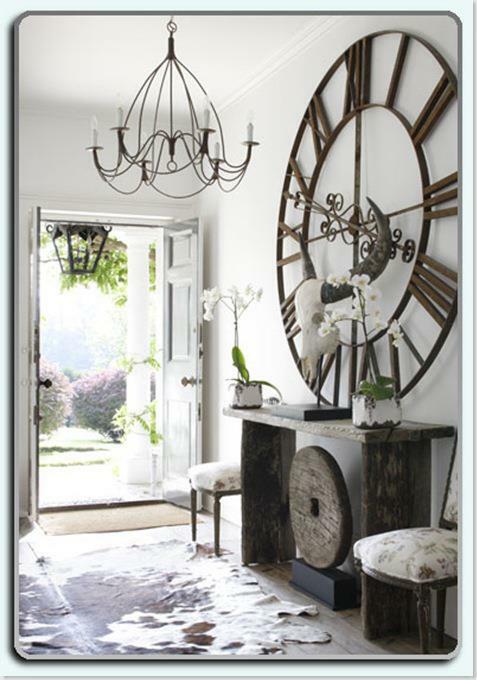 Where can I purchase that oversized wall clock?